We returned this morning from a 1.5 day trip and had excellent fishing on a phenomenal grade of yellowfin tuna ranging in size from 30 to 80 pounds with most fish being over 50 pounds! It was like fishing Guadalupe island but in our own backyard. 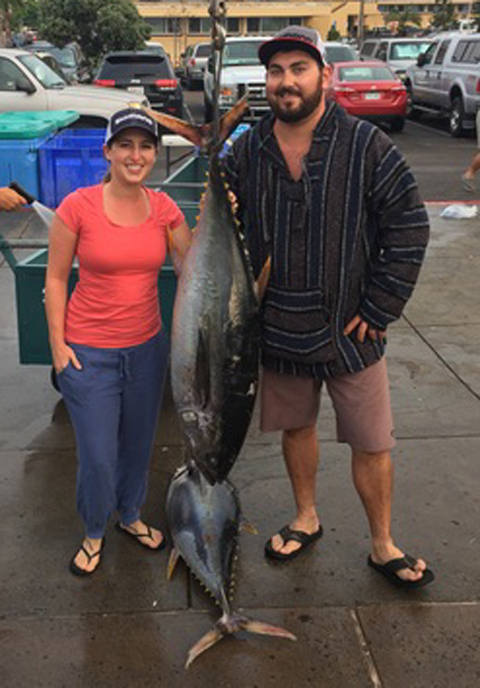 Here is a photo of a 75 pound yellowfin tuna!